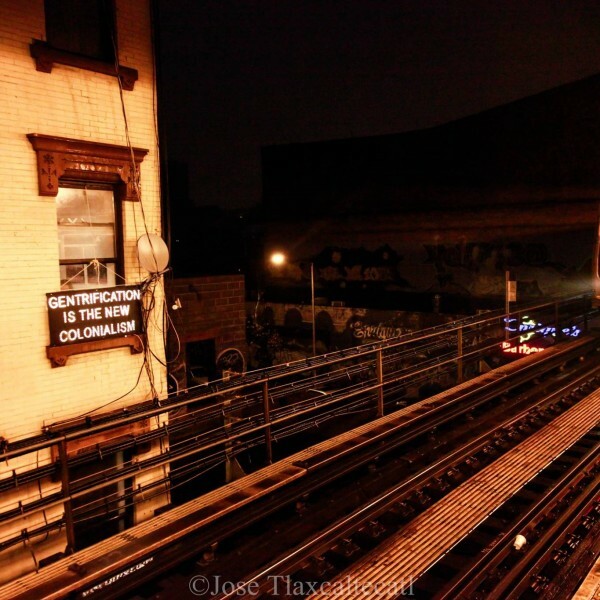 Mi Casa No Es Su Casa is a political art project by New Yorkers for New Yorkers, building a visible resistance to gentrification and displacement in NYC and beyond. 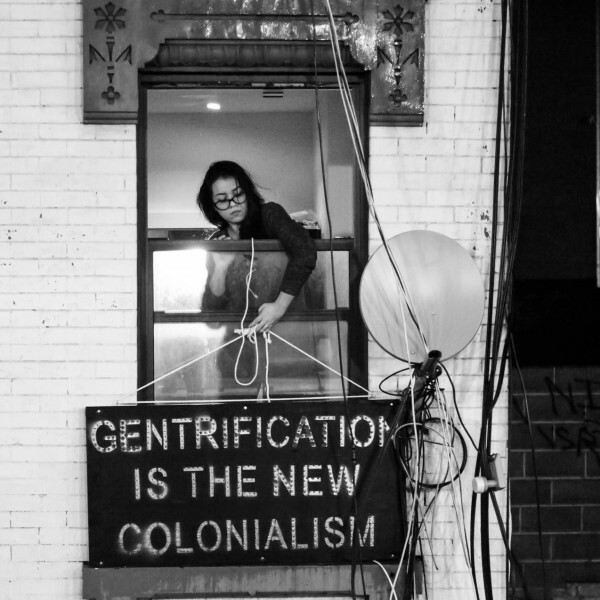 We are growing collective of native New Yorker artists & activists, (based out of the Mayday Space in Bushwick, initially in collaboration with NYC Light Brigade) that came together to build signs that shed light on the struggles of those most vulnerable to the gentrification, displacement, discrimination and harassment plaguing our communities in Brooklyn, NYC and beyond. The project's signs have been installed outside homes and local small businesses in increasingly gentrified areas across NYC, including Bushwick, Crown Heights, Flatbush, Corona, Jackson Heights, The South Bronx, Chinatown, Harlem, Inwood, Portchester and New Jersey.